The film, which includes interviews with David Letterman and Billy Crystal, premiered Monday on HBO and is available on its streaming service, HBO Now. Friends and relatives, including Williams' son Zak, also share memories. "I get sad when I think about Billy and Robin because when I interviewed him (Crystal) you could really feel a sense of loss," the filmmaker said. "I love the line in the movie when he says, 'Everyone wanted something from him. I had no agenda. I just liked him." The documentary is intended to celebrate the artist, Zenovich said, and her team "handcrafted" the project with love. It was often difficult to choose among the hundreds of clips and routines. "What's so great is hearing people say the film is so inspiring. It's so joyful. And I don't know, it touches on something deep. I mean, it's about so many things. It's about fame, the effects of fame. It's about talent and kind of someone with an amazing talent, watching his trajectory." Zenovich said she wants people to have a greater understanding of Williams and what he tried to do "and how generous he was and what a great mind he had." 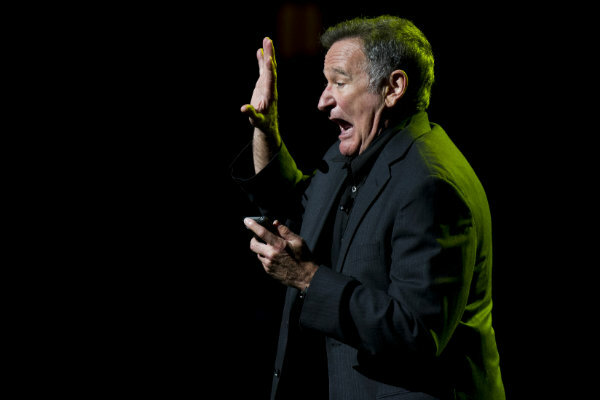 Williams suffered from dementia caused by Lewy body disease and killed himself in August 2014 at age 63. Williams received four Academy Award nominations and won for 1997's "Good Will Hunting." Zenovich previously made two documentaries on director Roman Polanski. Robin Williams was in the early stages of Parkinson's disease and was sober at the time of his suicide, his wife said Thursday.